Shop hickories, maples, and more. Shop trusted by Brand names. If you’ve ever wanted the expensive look of real hardwood flooring but have concerns about the upkeep and stability, then engineered wood flooring is for you! Engineered wood is basically a super charged flooring: it looks like you’d need a household of people to keep it beautiful, but it has been specially constructed just like the Six Million Dollar Man. Well, maybe not JUST like him, but it’s definitely super duper amazing as well. 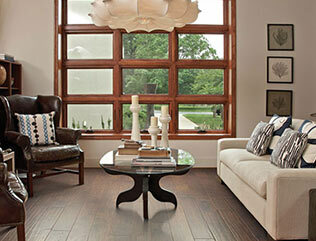 Engineered hardwood flooring can be installed anywhere, it’s crazy durable and adds an elegant touch to any space. Core Layer - multiple layers of plywood or high density fiberboard laid in opposite directions to provide stability to the plank in the case of expansion. Let’s call this the peanut butter and jelly of a sandwich (if you were to spread peanut butter on a piece of bread in one direction, and then the jelly on another piece of bread in the opposite direction of the peanut butter). While a high quality plywood is an acceptable core, the mack daddy of the core world is the high density fiberboard (aka HDF). 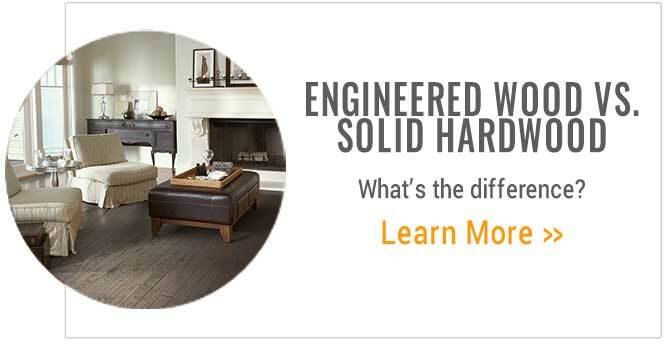 HDF offers greater stability, resistance to moisture, and durability to a level that plywood can’t touch. Backing Layer - this is the support layer for the whole plank. This is the base of the floor. 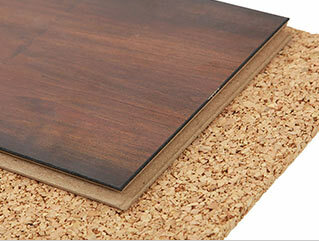 The core layers, veneer layer and surface are all supported by the backing. 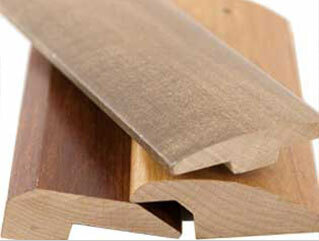 A good “balanced” product has a backing layer and veneer layer that are the same species and thickness of wood. This helps to create symmetry within the plank where moisture may be present. 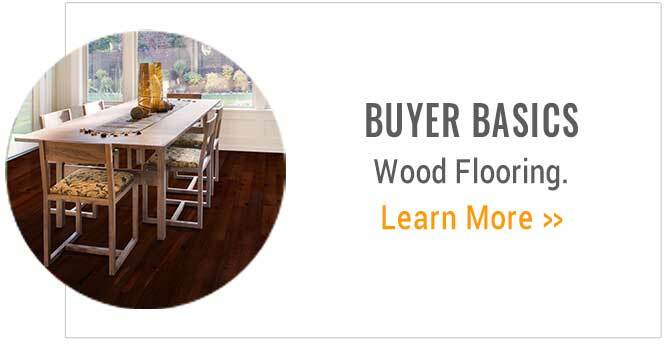 There are a variety of thicknesses on the market for engineered wood floors. This is particularly important if you are replacing an existing floor and need to have it match up close in height to where it meets another floor. This can help to lower tripping hazards and allow for a smooth transition between the two floors. 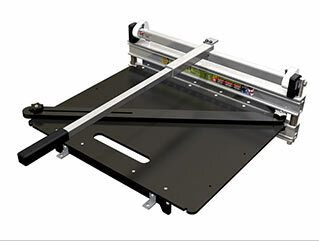 Now, where thickness really matters is when it comes to the Veneer layer or wood wear layer. This is the piece of wood that you will actually see once it is installed. When your floor gets scratched and damage with years of wear showing, you are able to sand and refinish the floor, bringing it’s look to new. Think of the thickness of your veneer wear layer like a gallon of ice cream. The more you eat, the closer to the bottom you get. Once you’re at the bottom and there’s no more ice cream left, that’s it! With the wood wear layer, the more you sand and refinish your floor, you are depleting the number of times you can do that in the future. So this is where the thickness is important for the longest life of your floors. 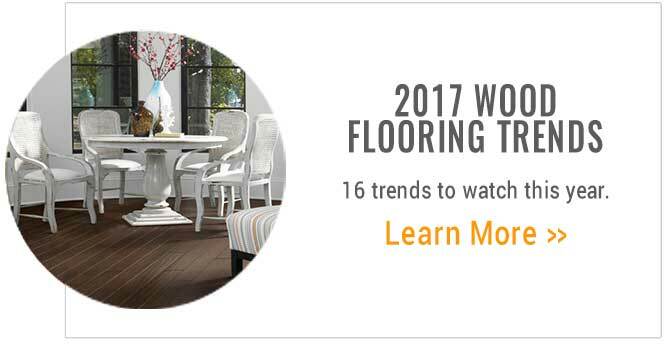 There are many options out there, and we are talking the difference of a flooring that lasts about 20 years to a floor that can last up to 100 years. It is wise to choose a thicker wear option. Location is everything. Solid hardwood floorings are constructed without all of the layers, and are just a thick solid piece of wood, which is more susceptible to moisture and dimensionally unstable. Since engineered wood has a more unique construction, it is versatile and can be installed virtually anywhere! 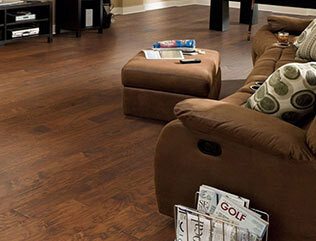 Solid hardwood is not recommended to be installed in basements, however, engineered wood can be installed there. 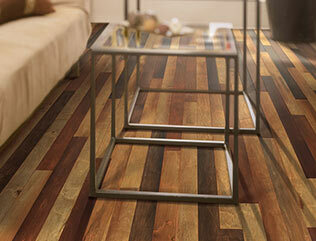 You’ll get the same attractive wood look and versatility that can’t be beat. 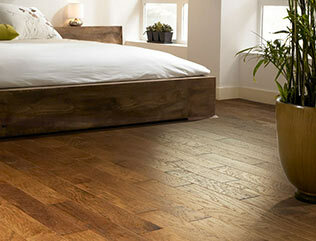 Engineered wood is versatile when it comes to how it can be installed. 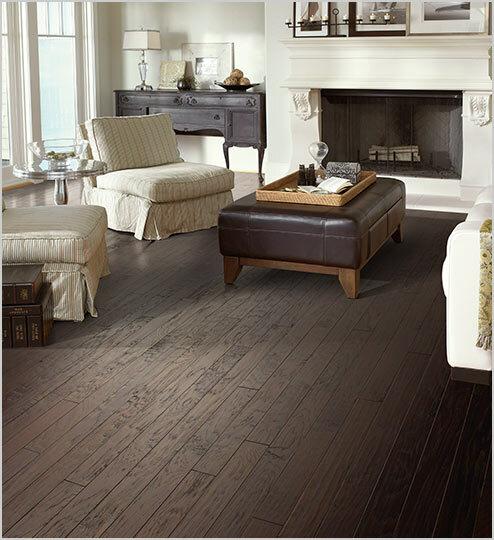 Engineered wood planks can either be nailed, stapled, glued, or floated for installation. 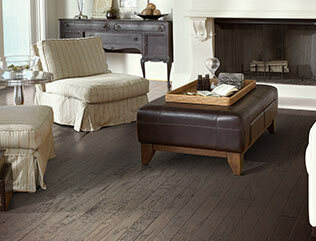 An important factor in any flooring installation is underlayment. A good underlay provides many benefits, including added warmth underfoot, sound reduction between floors, and the elimination of a hollow sound underneath your flooring when you walk. The underlayment puts a padding between your floor and the cold concrete or wood subfloor. Think of underlayment as the sock between the bottom of your foot and your shoe - you could technically go without it, but you’d be more comfortable and your shoes wouldn't squeak when you walk if you’d just put on a sock. Like the sock, you’d also be more comfortable when using a foam or cork underlayment before putting your engineered wood floors down.